I'm back from the Pöyrisjärvi bikepacking trip. Seven days of riding in mostly dry (and almost too warm) weather. I had long and hard days, as well as a few easy ones. I enjoyed every moment of it, even the hard ones. The fatbike worked very well in the area. It provided enough suspension on the rough ATV trails and also floated well on the sand and boggy parts. The route is shown below and mostly corresponds to the planned one. The total distance was around 400 km, of which 80 km was road. It will take a while to process the experience and put it in writing. 24 GB of photos and video also takes some time to go through. Due to the slightly longer nature of this trip I will do a trip report in three parts: Part 1 (Saturday to Tuesday), Part 2 (Wednesday to Friday) and finally a post about the gear used. I should have the first part ready in a week. Fantastic! Looking forward to your forthcoming reports! Awesome! I look forward to reading about it and viewing more of you images. Looks great! I'm interested how you planned the route. Did you follow old trails? Mark, I used mostly trails found on the map and only very little trail-less terrain. 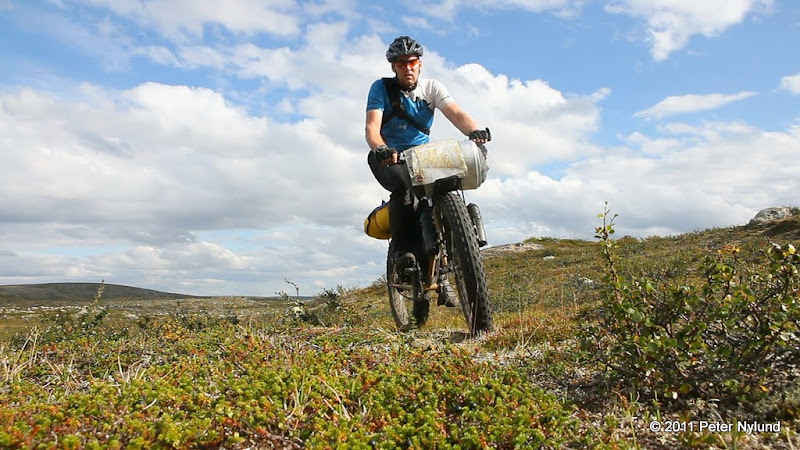 The majority of the trails were ATV trails (made by reindeer herders, motorized traffic is otherwise not allowed). A small part was pure hiking trails. 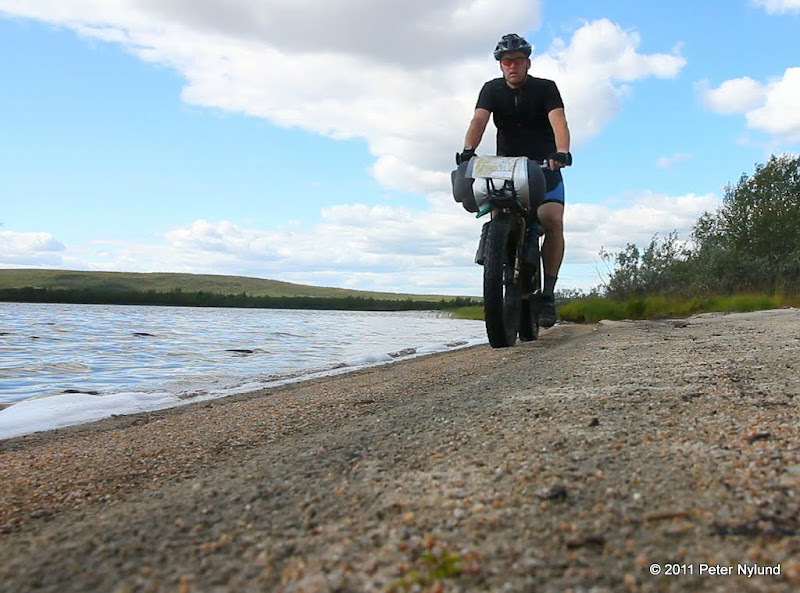 Judging the distance possible with a bike in unknown terrain in the given time is difficult, but I had some flexibility and a bail-out possibility in the route. I also got advice from people who had been there before. Very nice documented, I understood that Hetta-Näkkälä was not the best part (?). Thank you for sharing this and other trips, especially the trips in southern part was interesting to find. The Hetta-Näkkälä part was a slight disappointment, but it is still worth riding if you start from Hetta. But it was certainly not the best part.